Just like we did the previous week, where we took a look at the details that set apart a genuine Canada Goose jacket from a replica, today we will be doing that very same thing for The North Face. Being a popular and high-end brand, with prices that live up to the products’ reputation and quality, comes with its share of problems, one of which is that of counterfeit products. This is an issue that has affected nearly all brands that offer great quality products, but the prices of which are a tad higher than what the average buyer can afford. And thus, those buyers turn to replicas of the product they originally wanted, in the hopes that because it resembles that product, the rest of the differences will be unnoticeable. The worst thing, however, is when you are scammed out of your money for what you thought was the genuine product. If you are one of those who either knowingly or unknowingly has dealt with a fake product, you will agree to the fact that despite the similarity in appearance, when it comes to performance these products are considerably lacking. Now, let’s turn to jackets and more specifically those by The North Face and learn more about how to tell a genuine jacket from a replica. 1. Why “The North Face” Jackets are Worth Their Price? 2. How To Spot a Genuine The North Face Jacket? Being a brand as popular as The North Face, there surely has to be good reason behind it. 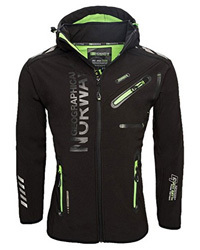 Especially considering the number of other outdoor clothing brands available. It all comes down to how The North Face products perform, which can be summed up by one word: great. That is not hyperbole, as that is not solely our opinion, but that of numerous customers of the brand, some of which are now loyal to The North Face products. From the manufacturing quality, to the specialized fabric technology used in a majority of the jackets, it’s no wonder why The North Face’s reputation is what it is. The product range is another contributing factor, as it makes possible for everyone to find the exact product that best suits their requirements and needs, without having to compromise. If you would like to learn some more about whether The North Face jackets are worth their price, as well as some other factors that cause their prices to be high but at the same time also attract customers, head over to this piece. 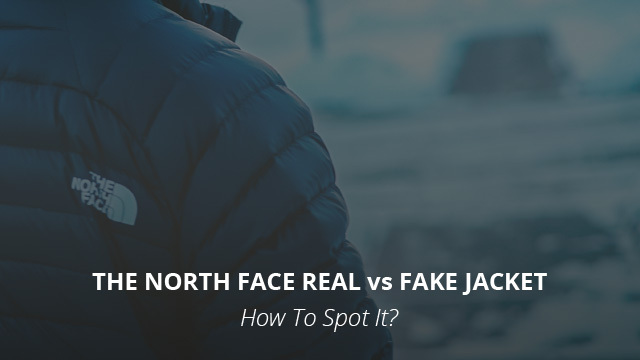 Let’s get down to business and go through the particular details that you should look out for in a genuine The North Face jacket, in order to prevent wasting your hard earned money on a fake product. This is a point we also mentioned in the previous guide on spotting a replica of Canada Goose’s jackets, and it bears mentioning here, too. Ensuring that the retailer you are purchasing from is reliable and only carries authentic jackets, regardless of which brand we are talking about, is the very first step, and also the most important one, in minimizing the risk of getting scammed. Therefore, looking out for suspicious signs from certain sellers is not as difficult as it may seem. Bad feedback, sales that go on for months, prices that are considerably cheap and the lack of photos of the actual product you will be receiving are all indications that something is fishy. Retailers such as: Amazon, Moosejaw, Nordstrom and Backcountry are some of the most trustworthy ones online. Moving on to actual product details to look out for, the first one we will be looking at is the tags that a genuine The North Face jacket comes with. There should be at least two tags present, one of which is a red tag on which are displayed the style, barcode, code, place of manufacture and price of the product. While this tag will almost always be present on a fake product, the devil is always in the details. Labeling inconsistencies, such as the wrong product model or wrong sizing information are the two most common things that give away replicas. Usually there will be mislabeled sizes to “Middle” instead of “Medium” and labeling the product by the wrong name. The price should also match or at least be comparable to a genuine The North Face jacket and also correctly displayed on the tag. 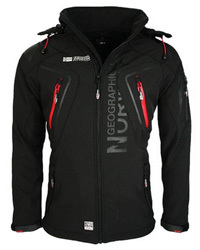 As we mentioned before, a jacket made by The North Face will be of high quality materials and construction. 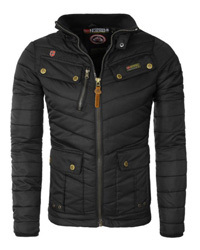 No loose threads, uneven stitching or serious design inconsistencies with a genuine picture of the jacket should be present. The fabrics should be smooth and the comfort when worn is a dead giveaway. The North Face jackets are made for high performance, the fabric should not be stiff, nor should the jacket feel heavy and uncomfortable to move around in. Another detail that will almost surely help you to tell apart a replica from a genuine The North Face jacket is the mountain embroidery, which is the brand’s logo. Uneven stitching or spacing, or any other issue, such as loose threading, are a sign that the product is cheaply made. When it comes to the printed logo, even on the small label that comes attached to the jacket, usually there will be spelling errors, uneven lettering and spacing, which are another indication that should raise red flags. It is no wonder that a counterfeit product, which is cheaply made, will also come with cheap and low quality zippers, buttons, pulls and studs. A zipper that is not smooth, which comes with a plastic pull instead of a paracord one, or which is made of any other material other than metal is a sign that the product is fake. Oxidized and darkened studs, buttons, zipper or broken pulls and any other small thing that should not be present are other signs to look for as they are a clear indication that the product you have on your hands is a fake one. 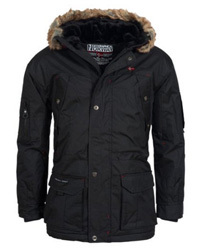 The presence of an off-putting smell is another common finding with counterfeit jackets that you might encounter. To summarize all of the above, first and foremost make sure the seller is reliable. Ask questions and ask for real product picture. If you are satisfied with the seller, the product details will be another good way to settle the matter of whether you received a counterfeit product or not. Just like the high quality of the product itself, brands like The North Face also pay great attention to details and everything should be of good quality materials and perform without any issues. Previous Article← What is Polyester Fabric? How Is It Used in Jackets?